Long ago on these hallowed hills, thoroughbreds were bred and born in the many barns that stood on the property of John Madden’s Hamburg Place. 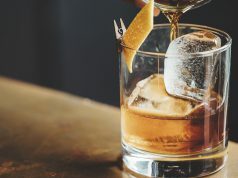 Imagine making your next mint julep on a bar made from restored wood from one of the barns where five Kentucky Derby and Belmont winners were bred. 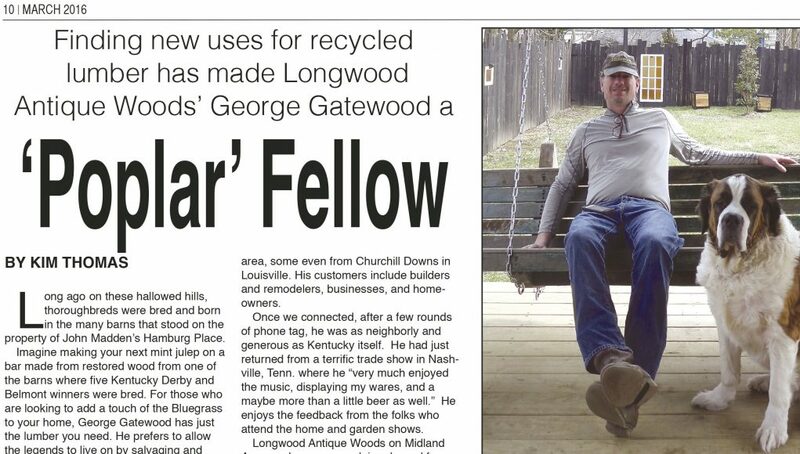 For those who are looking to add a touch of the Bluegrass to your home, George Gatewood has just the lumber you need. He prefers to allow the legends to live on by salvaging and repurposing. George Gatewood, who grew up in Mt. Sterling, has come a long way since the days he built his first tree house out of barn wood, followed by the bar he built in college out of reclaimed wood. 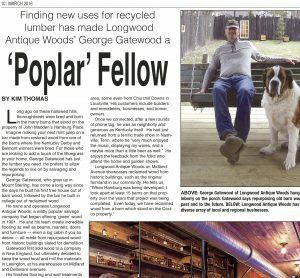 He owns and operates Longwood Antique Woods, a wildly popular salvage company that began offering ‘green’ wood in 1991. 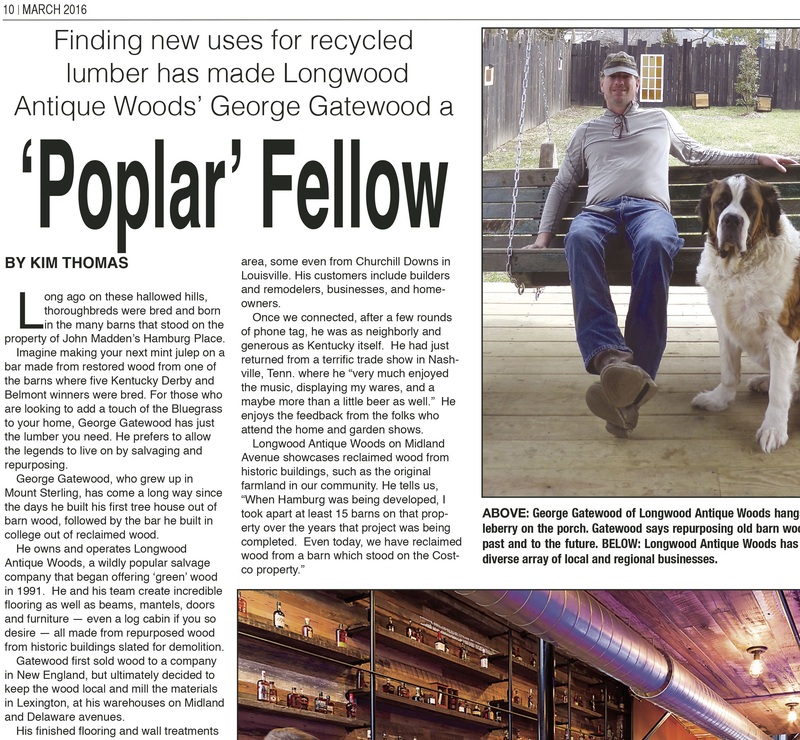 He and his team create incredible flooring as well as beams, mantels, doors and furniture — even a log cabin if you so desire — all made from repurposed wood from historic buildings slated for demolition. 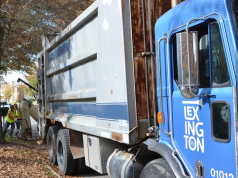 Gatewood first sold wood to a company in New England, but ultimately decided to keep the wood local and mill the materials in Lexington, at his warehouses on Midland and Delaware Avenues. His finished flooring and wall treatments serve as tributes to the legendary horses who made Madden’s Hamburg Place famous. In fact, during the development of Hamburg, he disassembled many barns that stood on the property. Longwood Antique Woods currently has wood for sale that was taken from a barn that stood on the Costco property, he tells me. He is an affable fellow who puts you at ease right away. “I’ve been in the business for 23 years, and I was country when country wasn’t cool!” Gatewood is quick to let you know, if you are quick enough to chase this busy fellow down to chat for a few minutes. His showroom is located on Midland Avenue, and there you can find wood for flooring, wall décor and more. Much of the material has been recycled from old barns in the area, some even from Churchill Downs in Louisville. His customers include builders and remodelers, businesses, and homeowners. Once we connected, after a few rounds of phone tag, he was as neighborly and generous as Kentucky itself. He had just returned from a terrific trade show in Nashville, where he “very much enjoyed the music, displaying my wares, and a maybe more than a little beer as well!” He enjoys the feedback from the folks who attend the home and garden shows. He considers the best wood for flooring purposes to be oak, heart pine, chestnut, and poplar. “Wood such as hemlock or wood that has weathered too much finds new life as wall-boarding in restaurants such as Pies and Pints and Crank & Boom, and in Dudley’s downtown location, where the treatment was made using wood recovered from an historic Midway Farm — we installed the flooring at Tony’s as well.” They’ve also provided the wood for multiple Goodfellas locations, including the upcoming “Goodfellas Distillery” which is slated to open in Lexington’s Distillery District in the fall. Gatewood has been commissioned by Maker’s Mark as well as Jim Beam distilleries to create conference tables and other items from antique recovered wood. Gatewood’s crew includes a fulltime staff of de-nailers, woodworkers, and master craftsmen. 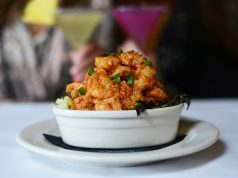 He has been recognized in Garden & Gun, Country Living, Keeneland Magazine and numerous other publications. He looks forward to showing his work at the Kentucky Horse Park for the Rolex 3-Day Event as well as hosting an exhibit at the Blue Grass Historic Trust Antique & Garden Show in March. The Blue Grass Trust Antique and Garden Show is March 4 thru March 6. This article also appears on pages 10-11 of the March 2016 printed edition of the Hamburg Journal.